When I was fourteen I was spending my summer holiday with my sister Lena , and her husband Al. They were really good to me, but I was expected to help out. 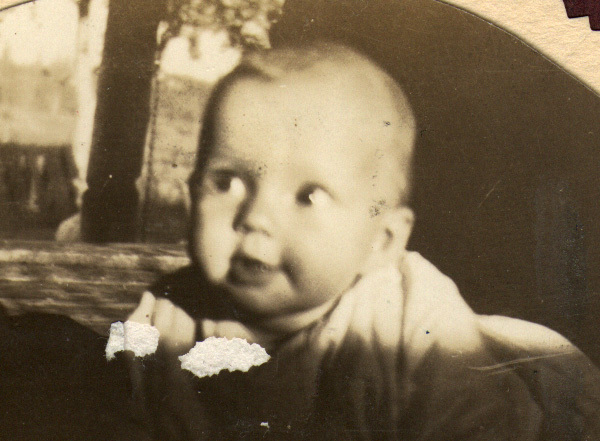 They had a brand new baby that year, such a sweet little thing. They thought it was funny to get me to change her diaper when it was a “dirty” one. I was happier out riding a horse, or helping with the hay crew! That was the last summer I spent with them. They had a second child the next year, and Lena had enough to handle without this teenager getting in her hair. Some years later and that first baby was now a young lady, and was about to marry her sweetheart. 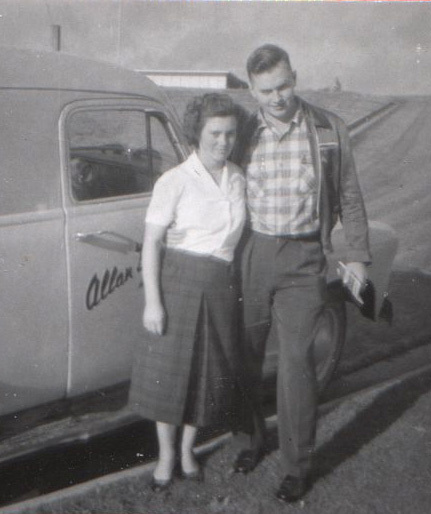 By this time the family had all moved to Quesnel. 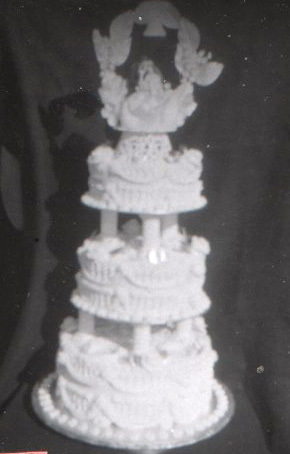 I had taken a correspondence course in “Candy and Cake Making”, so I decorated a four-tier wedding cake for her. But we lived in Vancouver, and she lived in Quesnel. We couldn’t afford to go, but the cake made it. My brother paid to have it flown to Quesnel for the reception, and our thoughts were with her, wishing her many years of happiness. They are still married , with two children, six grandchildren and two great grandchildren. Did I get that count right, Elsie? good morning, Jean. Thanks for your visit and your comment. I do appreciate it. The tea is ready, so I’ll pour a cup for you. Thanks for dropping by, Gary. Pour a cup of tea for yourself… I might as well have one with you. Thanks for your comment. It will be a surprise for Elsie. A gorgeous cake like that almost guarantees a long and happy marriage! Made with love…and lots of talent. Thanks for such a compliment, Christine… and welcome. cme have some tea, and a chat. I do appreciate your visit and comment.